For my 30th birthday Celebration a bunch of my friends and I went down to Ocean City, Maryland to go camping and go to the beach and eat crabs. 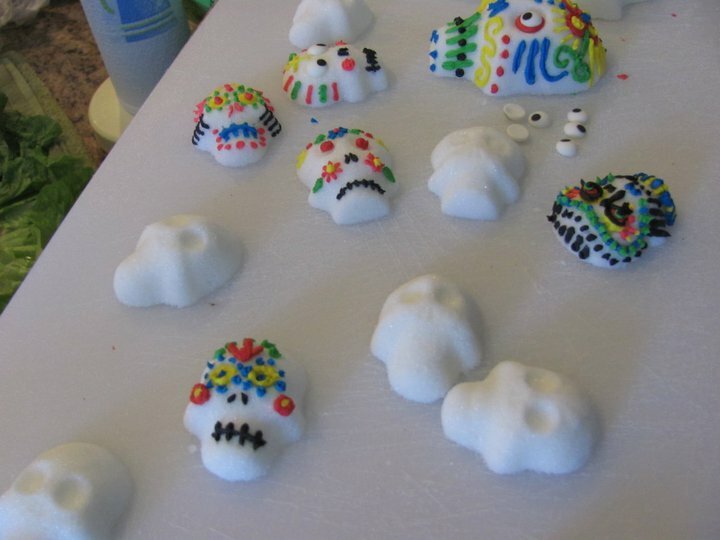 At my uncles house on Saturday morning he had set up quite a treat for us... Sugar Skulls! We actually got to make real ones. 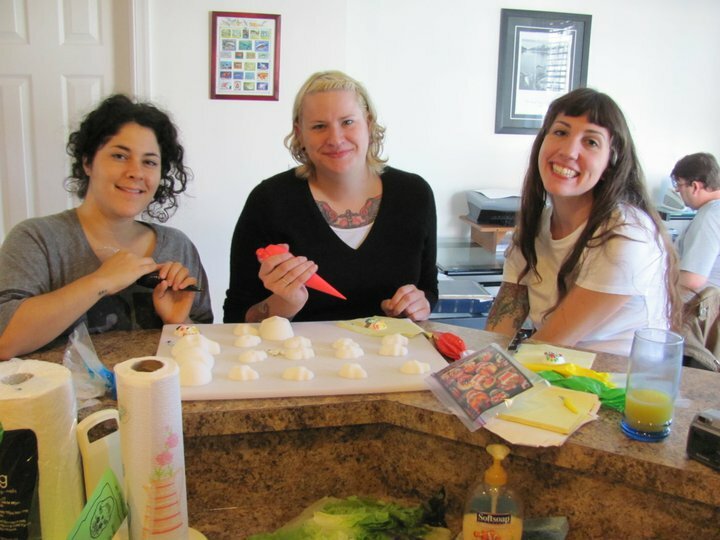 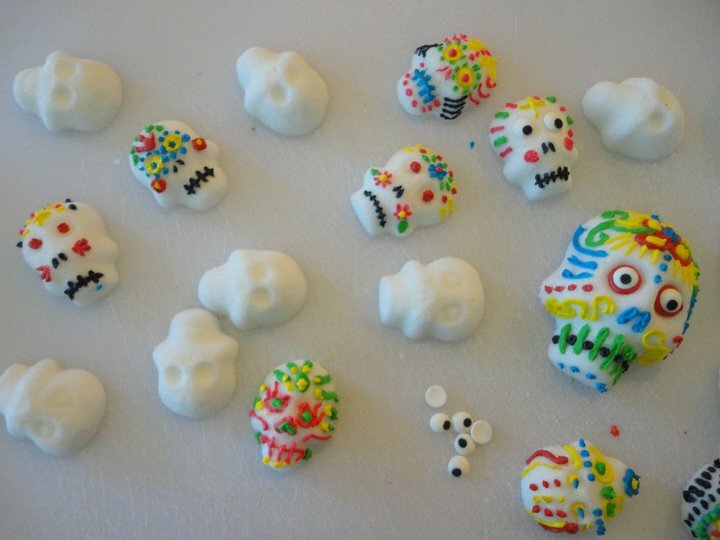 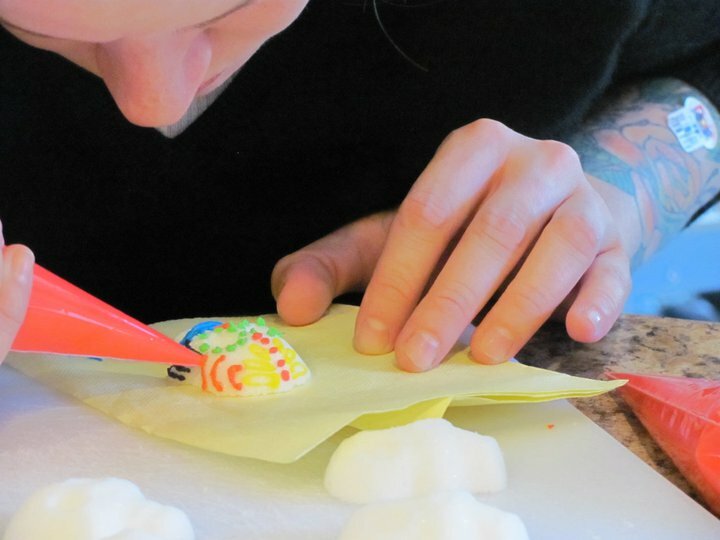 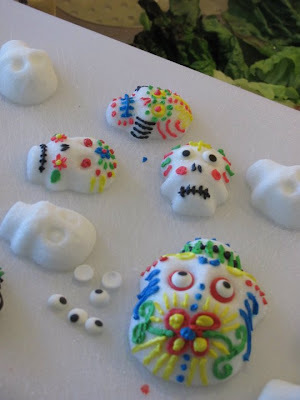 He got the molds and then you make the skulls with meringue powder and sugar mix. Here is a website that explains it better. 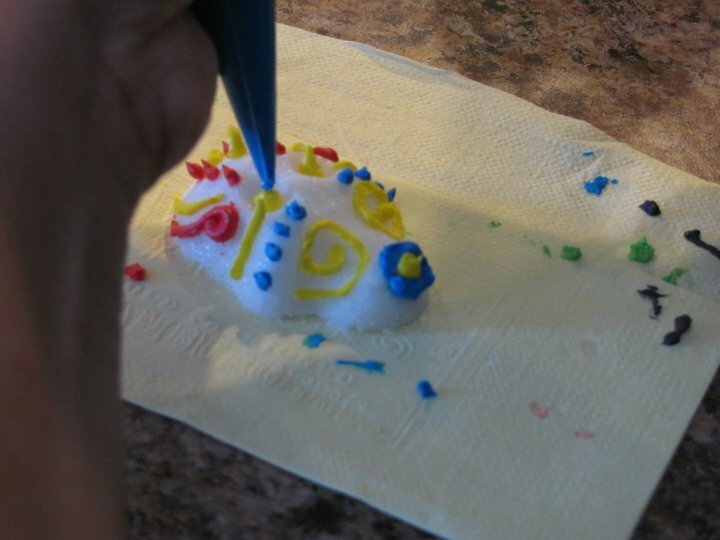 He made different color royal icing in baggies that we used to decorate them. 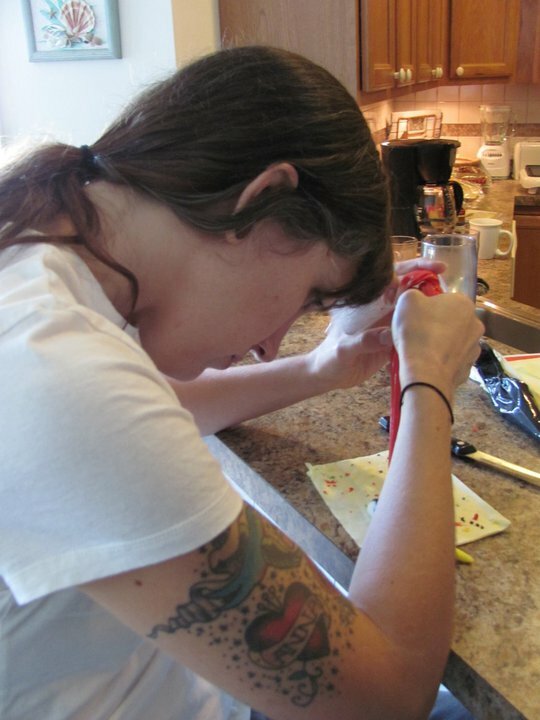 This is something I have always wanted to do. Here are the pics!